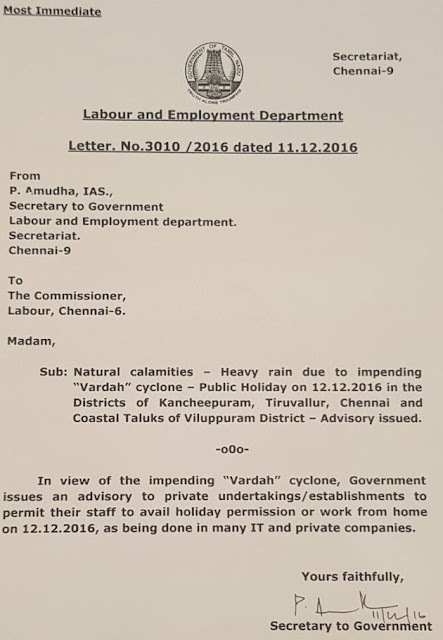 Due to Vardha Cyclone, the Chennai, Thiruvallur and Kanchipuram District Collectors declared holiday to Schools and Colleges on (Tomorrow) 12.12.2016. 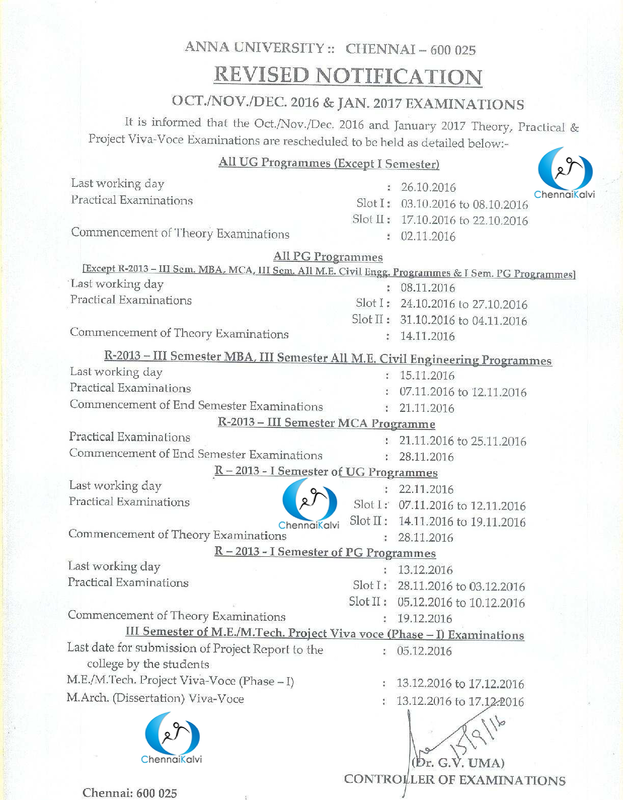 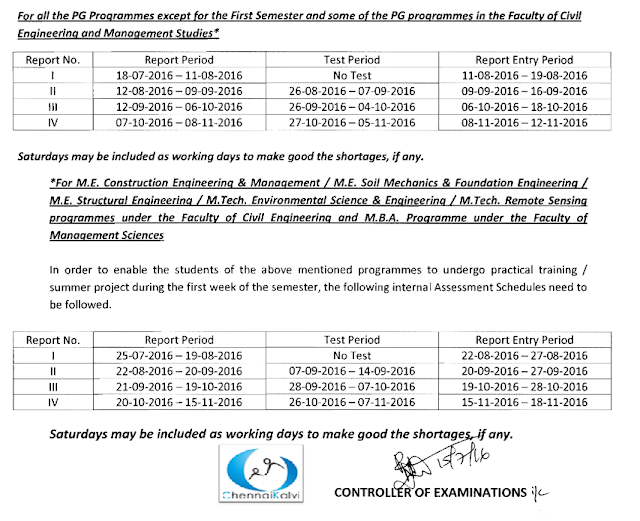 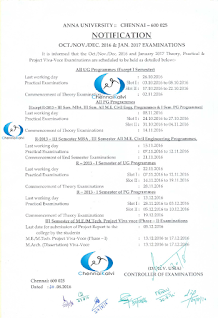 Anna University announced the Revised Schedule for the Postponed Exams. As per the Revised Schedule, 13.12.2016 Exams are also Postponed due to Milad-un-Nabi Holiday. TN Government declared 3 Days Holidays to All Schools, Colleges. 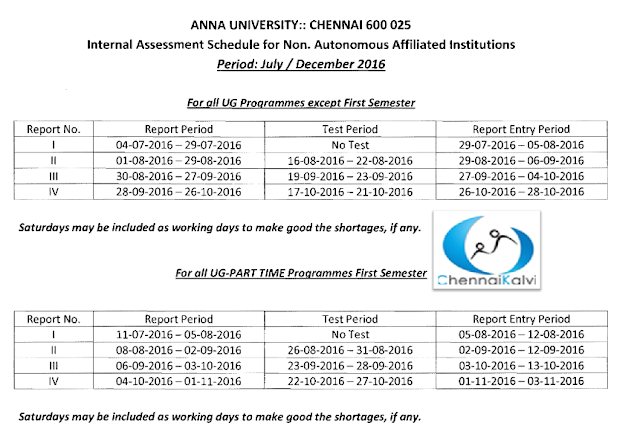 Due to Cyclone All the Anna University Exams scheduled on 02.12.2016 are Postponed to 23.12.2016. 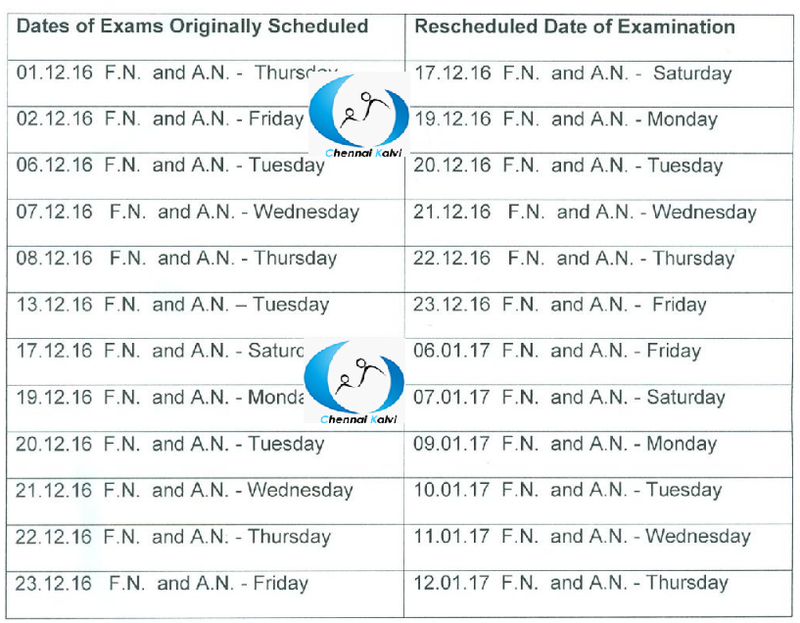 Due to Cyclone All the Anna University Exams scheduled on 01.12.2016 are Postponed to 24.12.2016. 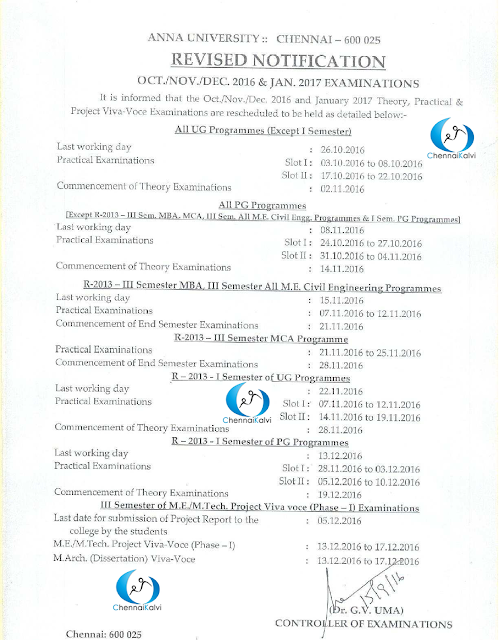 ALL UG / PG EXAMS Scheduled on 18-11-2016 & 19-11-2016 are Rescheduled dut to By Election. 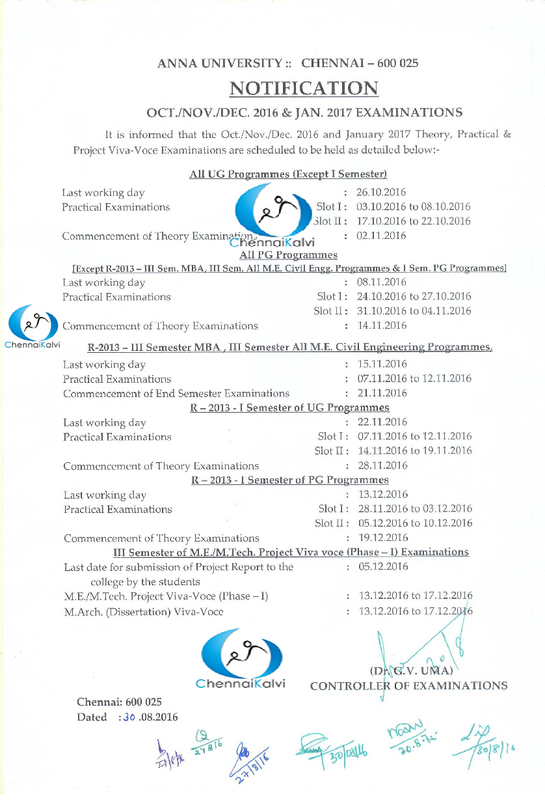 AU Published Additions - I on UG Degree University Examinations in the following Degree Exams.